I read this article and found it very interesting, thought it might be something for you. The article is called Fallas: What you should not miss and is located at http://www.nest-hostels.com/fallas-what-you-should-not-miss/. Fallas is Valencia’s most famous party and every year thousands of travelers come to our city to see a unique festival where gunpowder and fireworks are one of the many attractions of the party. From March the 1st till the 19th you will have tons of things to do/see in Valencia, and better not to be sleepy, there is no time to sleep during Fallas, not because we do not want you to but because one of the most important things to see in Fallas is La Despertà. This wake-up call runs every day at 8:00 am. Falleros stocked with firecrackers and a band of musicians go across the different neighborhoods to wake you up. You can either love it or hate it. After all, they say, Fallas is a night and day party. Next must-see should be -at least- one mascletà. Mascletàs run also each day at 14:00 at the Plaza del Ayuntamiento (Main Square). You better go early cause the square and its surroundings get pretty crowded. Mascletás are performed by different pyrotechnics who try to be better than the previous one. It’s a hell of a concert! 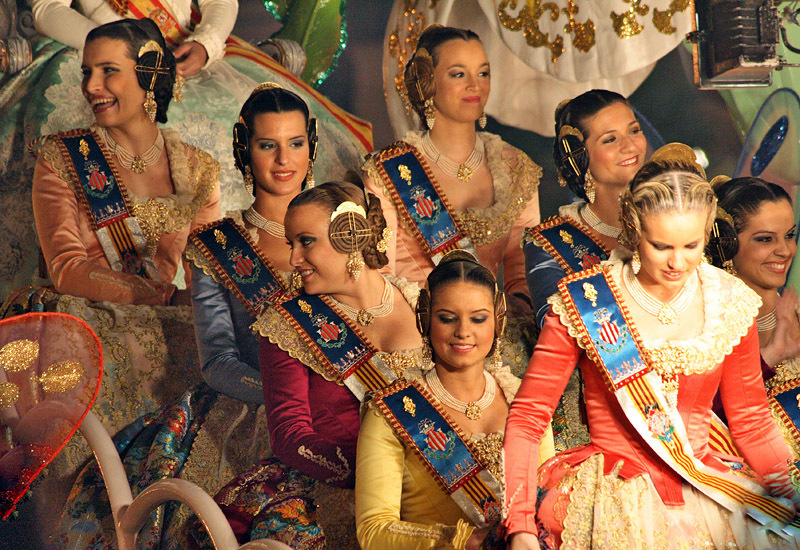 Ninots may be what make Fallas so colorful and unique. These statues made of cardboard, wood and plaster can be real works of art and most them are related to current events in Spain. Politicians, football players, tabloid personalities, etc. 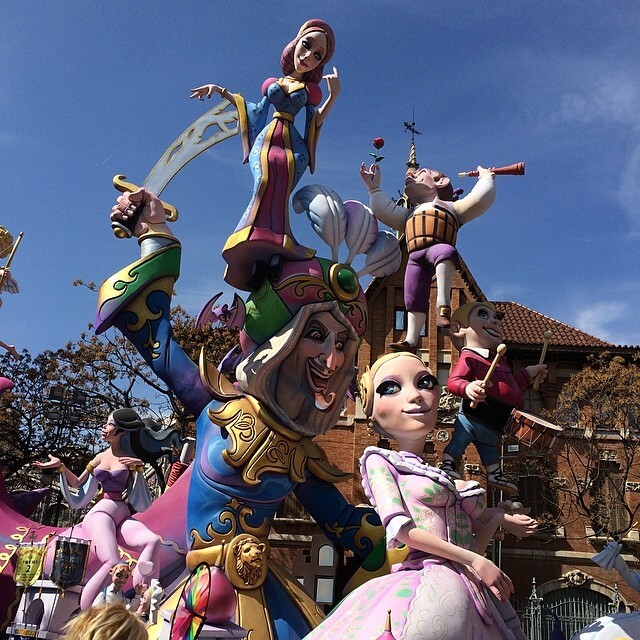 Fallas are about humour and criticism. You can see them from the 15th of March, when the Plantà (the setting up) takes place. Castillos! 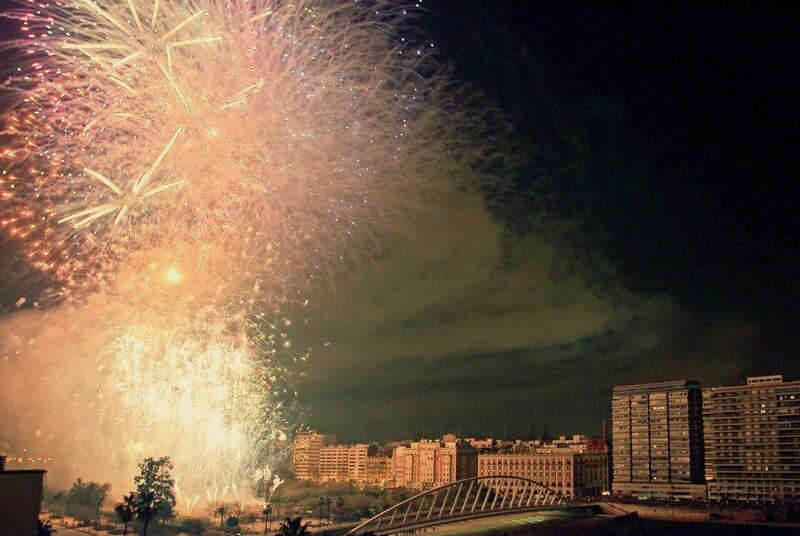 It’s all about fireworks and you have never seen fireworks like the ones you are about to see in Fallas. Since the first day there are fireworks everywhere but you can not miss the display on the evenings of the 15th, 16th, 17th and 18th of March -especially this last one-. You are gonna love these fireworks displays lasting more than 15 minutes with many colors and shapes. Guess what? They take place very close to our awesome Purple Nest, in the riverbed of the Turia, around midnight. Falleros. We love them! So passionate about Fallas, with their beautiful costumes spreading joy all around. They are the reason for Fallas. Falleros pay for the Ninots, fireworks, music, they walk the parades, bring flowers to the Virgen de los Desamparados (Ofrenda), so, there would be no Fallas without them. Ofrenda de Flores. You can not miss it! Yes, the streets are overcrowded, you might feel claustrophobic, but it is worth seeing. 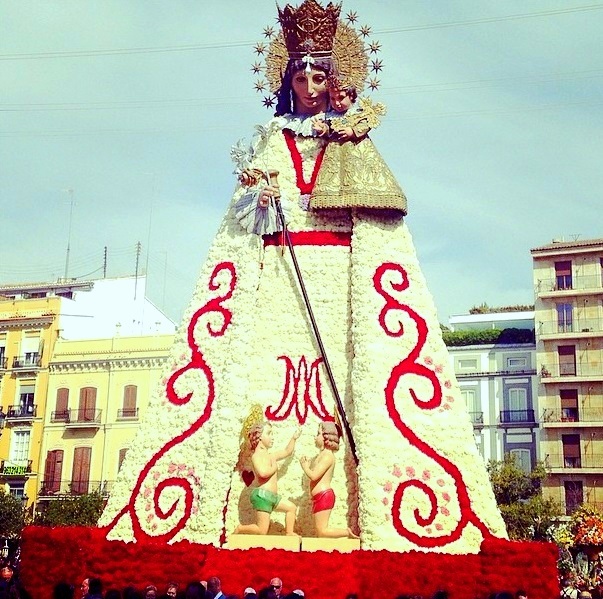 For two days, on the 17th and 18th of March, all the Fallas Committees are involved in this Flower Offering. They bring flowers to the Virgin of the Forsaken, red and white carnations are placed in between wooden slats to fill in her cape. Meanwhile, bands of musicians play their music and you can see some falleras crying because this is one of the most important moments in their lives. The Ofrenda de Flores takes place at the Plaza de la Virgen, be sure to be there early if you wanna see it. Cremà. The last night is not less spectacular. 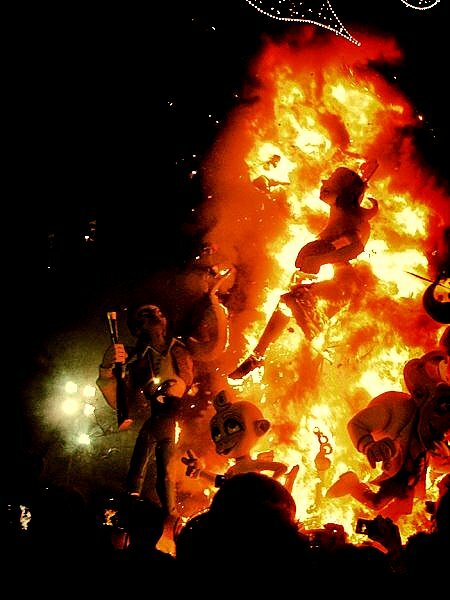 Around midnight Fallas are burn within minutes. Fallas had been previously packed with fireworks so the burning starts like a party. Only one Ninot gets rid of the burning, the Ninot indultado or pardoned figure. From that moment on, the figure will be displayed in the Museo Fallero. After the burning, people celebrate until late at night and they will go to bed dreaming of the next Fallas. Last but not least, do not forget we have two beautiful, centrally located hostels were to rest and meet other travelers during Fallas. The Purple Nest and the Red Nest.